While browsing Flickr today, I found this picture of the desk in the corner of the Cooper Point Journal office in the 1990s. I spent a lot of time sitting here, both in 1992-3 and earlier in 1984-85. I think I might have actually let out a squeal to see it on Flickr — with the little John Lennon picture on the desk drawer and all. I guess this blog is all about memories lately. Since 1994: Random pop culture, crafts, history, and other stuff that catches my attention. 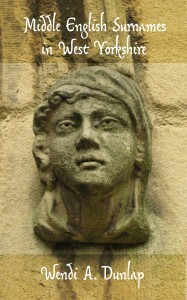 My book Middle English Surnames in West Yorkshire is available at Amazon and elsewhere! Visit Wendi Dunlap's profile on Pinterest. Text and photos ©1994-2016 Wendi Dunlap. All rights reserved unless otherwise stated. Please do not use without permission.